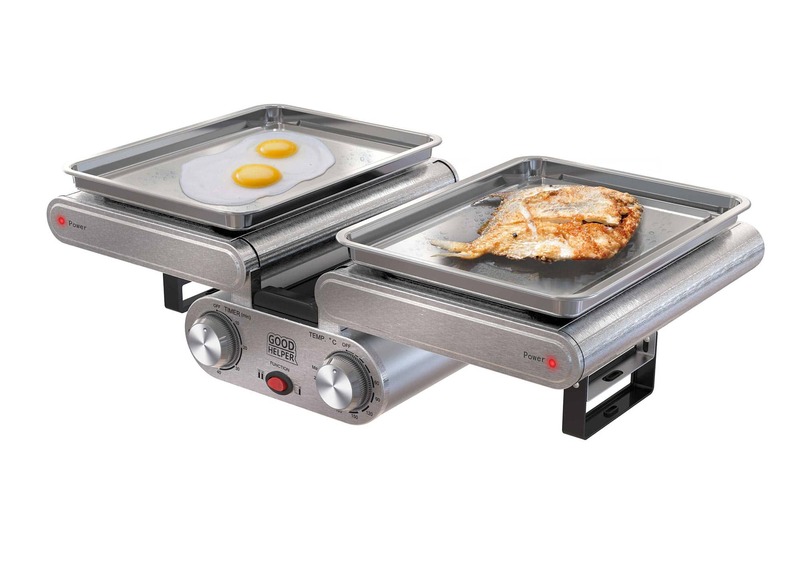 Grill & Griddle Goodhelper GG-C10 is made for meat, chicken and fish frying, preparing fried eggs, omelets etc. 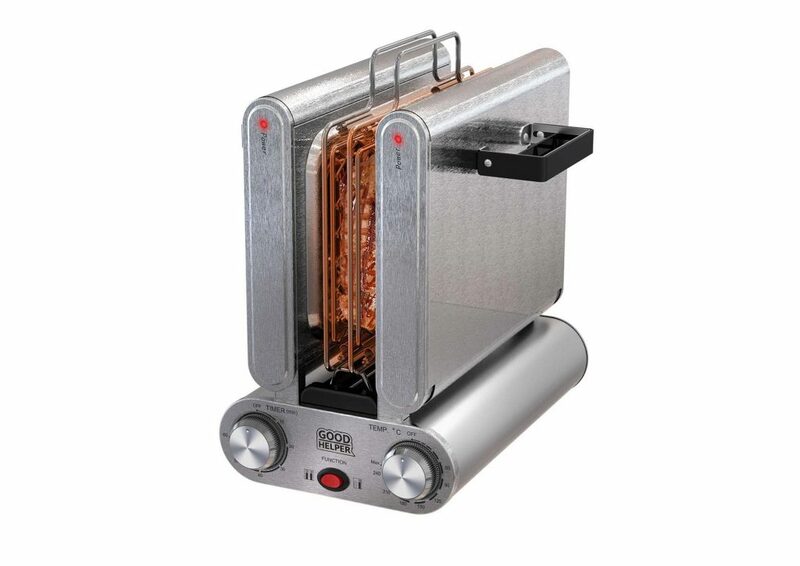 Its main advantages are compact size, smart structure, safe and easy usage. 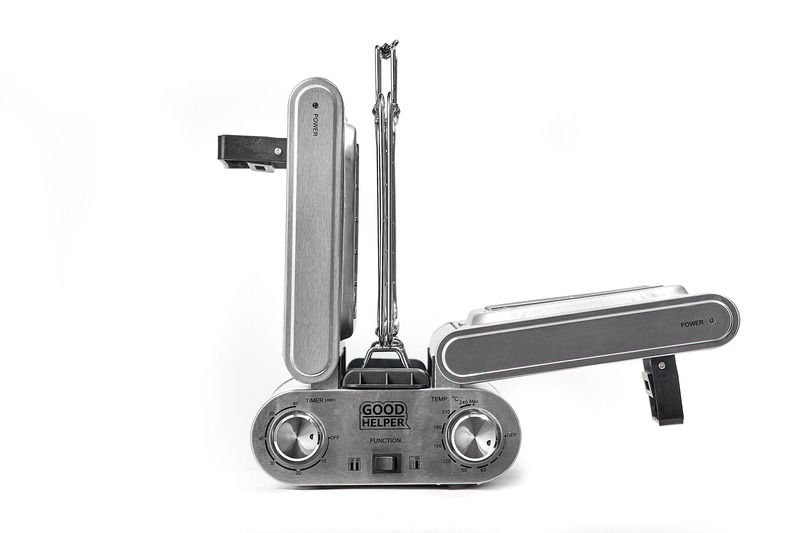 Grill & Griddle Goodhelper GG-C10 has two plates that can be used both in horizontal and vertical position. 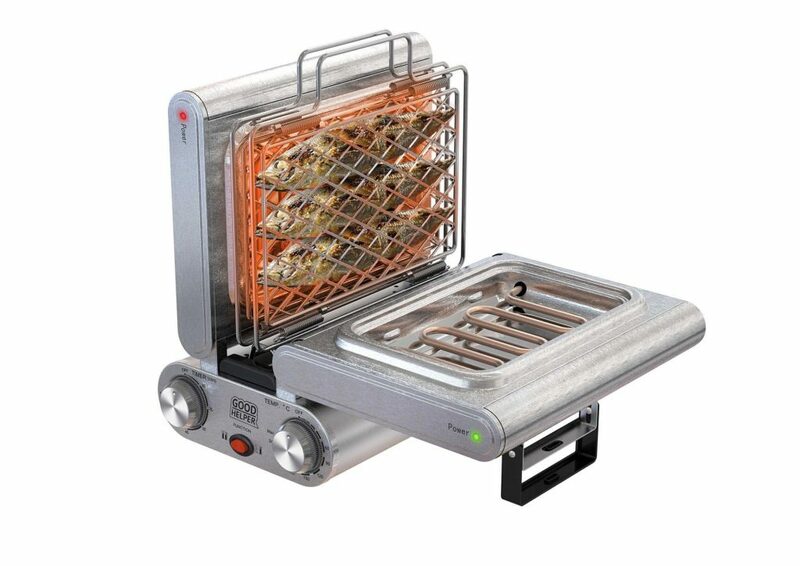 Vertical position is good for double side frying of meat, fish etc. 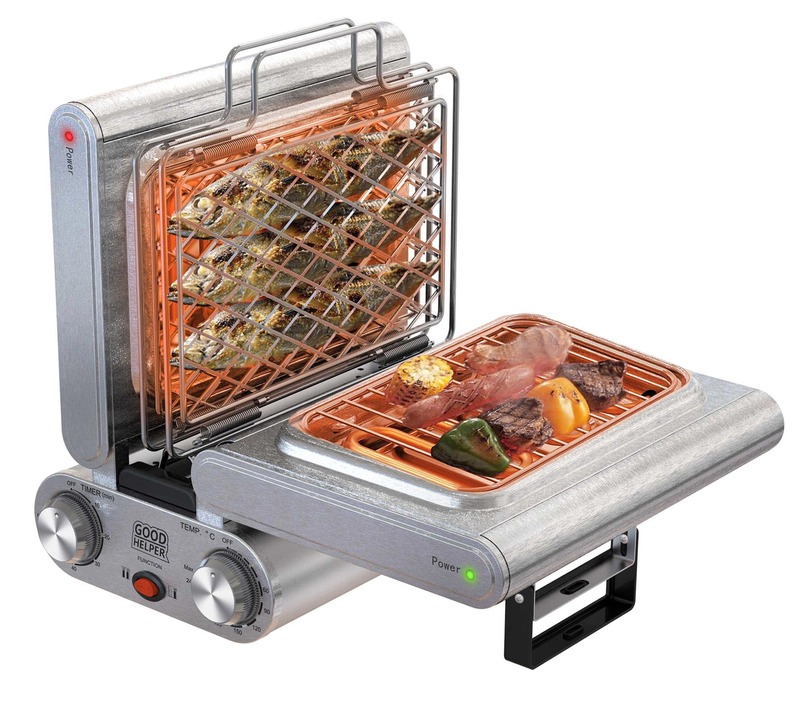 Horizontal position allows you to use this device as a BBQ maker for meat, vegetables etc. 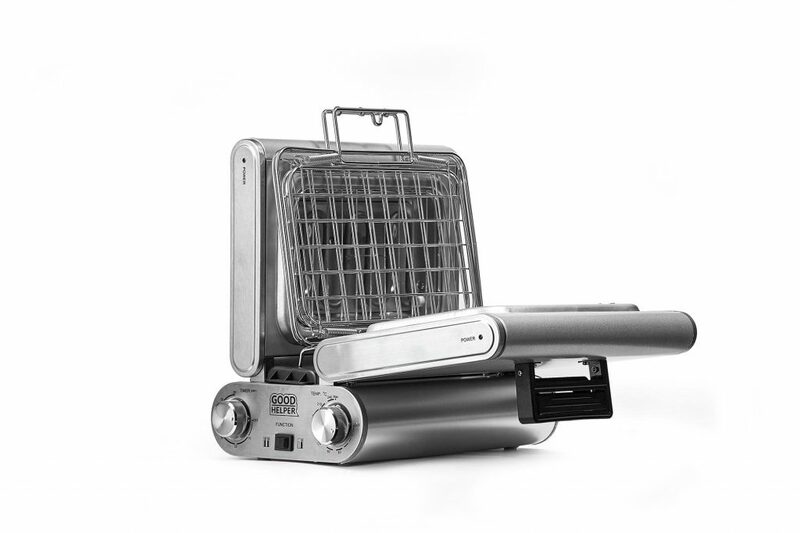 In addition, you can use each plate of this device in horizontal position as a separate pan to make different kinds of food in each pan separately but at the same time. 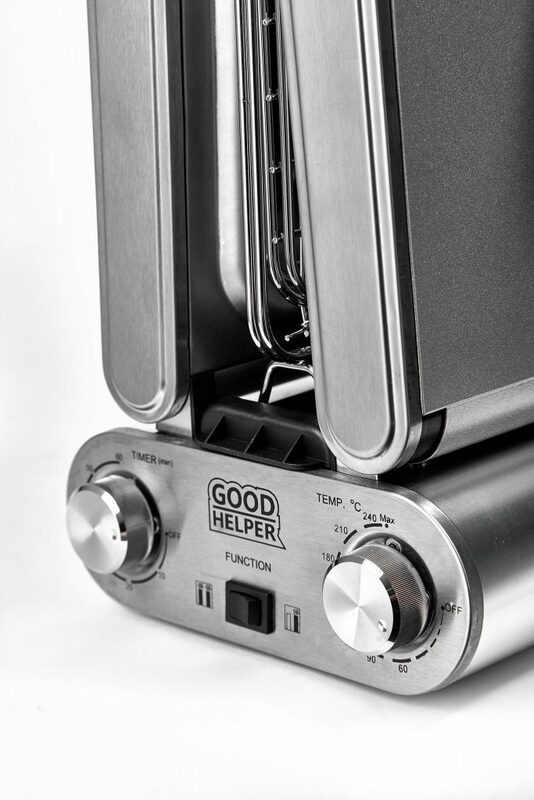 Grill & Griddle Goodhelper GG-C10 has Auto-off function controlled by built-in timer. Timer settings are 1-60 min. 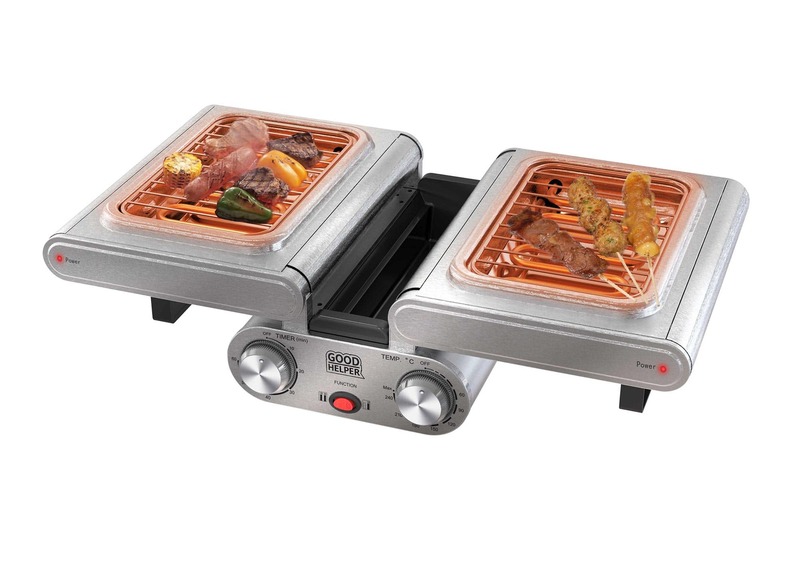 That is why you do not need to watch the food preparation; just listen to the timer bell sound. You can come and take the ready food when it rings. After timer bell rings, Grill & Griddle Goodhelper GG-C10 turns off automatically. 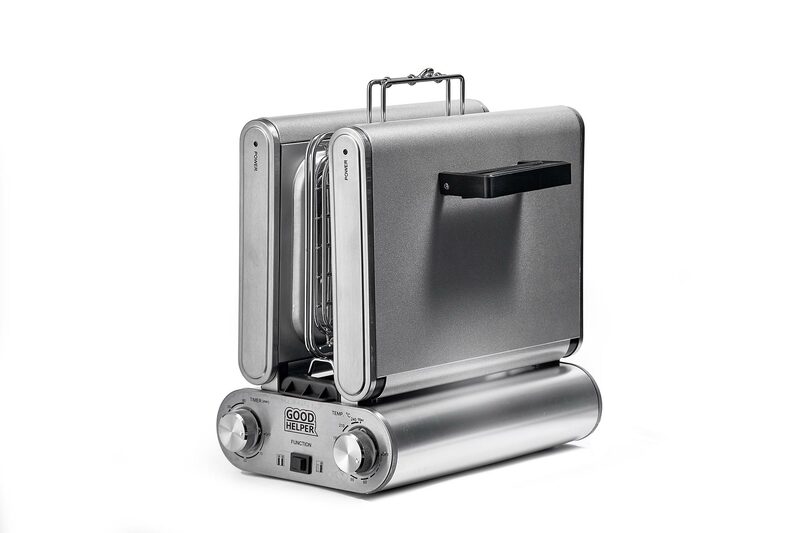 Grill & Griddle Goodhelper GG-C10 occupies small space for storage, ergonomically designed handle allows its easy carrying.